• Come on… could King Grub really be the Ultimate Survivor? The penultimate episode of Australian Survivor has recorded its biggest-ever regular episode audience with the penultimate episode of season three. On the most-watched episode of Australian Survivor: Champions Vs Contenders, the final four became three when Queensland’s Shonee became the last Contender and the 21st person to be voted out of the game. 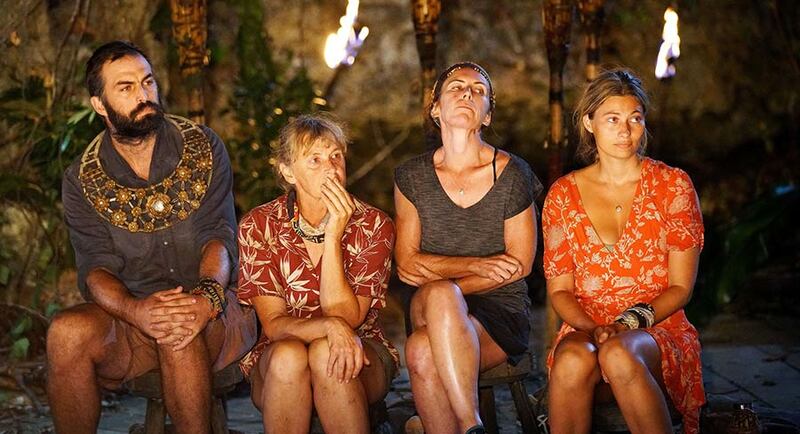 After successfully eliminating Monika at the previous Tribal Council, the “Sh” alliance of Shane, Sharn and Shonee had their sights firmly set on sending Brian home next. At camp, Brian and Sharn set off to check the tree mail and were confronted with a tempting moral dilemma: a split or steal food predicament, consisting of two bacon, lettuce and tomato sandwiches and jug of orange juice. Living up to his King Grub nickname, Brian’s decision to steal the entire meal for himself sealed his fate with the three women of the tribe, leaving his only chance for survival hanging in the balance of the upcoming Immunity Challenge. In an Immunity Challenge requiring equal parts speed and dexterity, each contestant manoeuvred discs through a spring set maze. 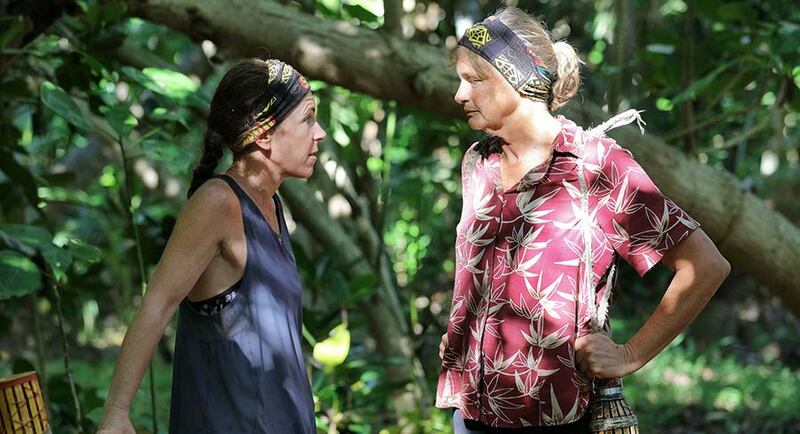 Despite Shane’s determination to don the Immunity Necklace for the first time, her neck-and-neck battle against Brian to the bitter end resulted in a devastating loss with only seconds left between the duo. Brian’s unexpected win threw the “Sh” alliance into complete disarray, with Brian and Shonee fighting hard to convince Shane to send Sharn home. Friends and confidantes from the start, Shane and Sharn agreed to remain true to their original Champion alliance, assenting that the target had to regretfully be placed on Shonee’s back. At Tribal Council, a discussion of loyalty, trust and remaining threats ensued, as the jury watched on with attentive curiosity. As the votes were tallied, the jury’s prediction that Sharn was on the chopping block was proven wrong as Shonee become the 21st contestant and last Contender voted out of Australian Survivor: Champions Vs Contenders.